With so much hype around smart technology and connected devices with the advent of devices such as Google Home, Apple’s Siri and Amazon Alexa, there has been a looming question from those hesitant to make the switch concerning if the technology is worth it. Some wonder about the security of the systems and if they really do save homeowners time and money. We want to offer you peace and clarity with hard facts and statistics about the market and smart devices, so you can make wise decisions when choosing to update your home accordingly. By 2020, it is estimated there will be 20.4 million connected things in use, up from an estimated 8.4 billion in 2017 (Gartner, Inc.). This indicates the market is strong and only getting stronger as more innovative devices make their way into the industry. People want to enjoy the comfort, convenience and security that these devices can offer them in their homes. That’s also why homeowners are beginning to make smart technology installations more common in their renovation projects. 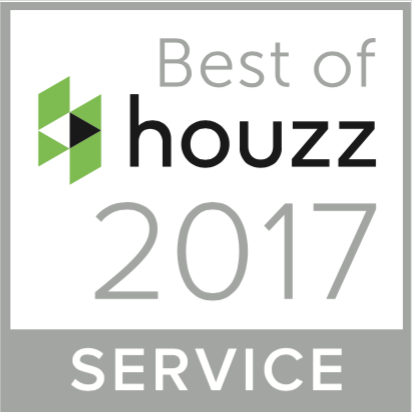 45 percent of homeowners are installing smart systems or devices during renovations projects (Houzz). More than just for aesthetics and to join the latest trends, though, homeowners have even discovered extra time in their days and extra money in their wallets when they use certain home automation features. 57 percent of Americans say that smart products save them roughly 30 minutes a day, which amounts to a total of 182.5 hours a year (Rochester). By adjusting smart thermostats to ensure the air conditioning does not turn on when homeowners are at work during the summer, it is estimated 10 percent can be saved on utility bills (Department of Energy). The question that remains, then, is what kind of smart technology is preferred? According to the Consumer Technology Association, a couple common choices were home cameras for security upgrades and smart thermostats for energy efficiency. With automated security in your home, you can access live video on your smartphone of various rooms in your home and at your front door. You can even lock or unlock the doors from your app, whether you are at home at the time or not. And as detailed above, automated heating and cooling systems can be turned on or off from your smartphone as well, offering you the ability to cut back on your electric bills. Don’t let all the hype of smart technology make you skeptical of its true worth and savings. 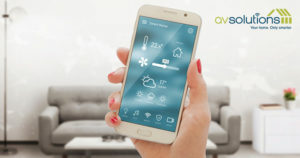 Be smart about home automation and let the experts at AV Solutions assist you in discovering the perfect devices and installations to meet your needs.